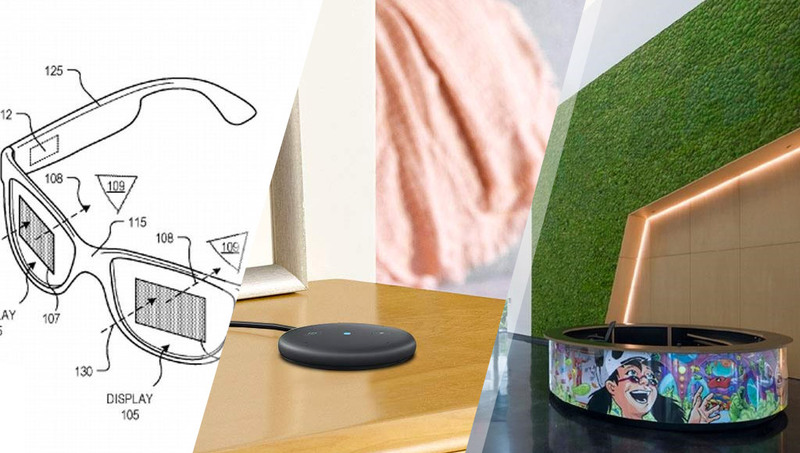 This week, we look at a Google Glass patent for consumer smartglasses, a new Amazon Echo for external speakers, a behind the scenes look at both Magic Leap and Fitbit, and a sneak peek at Valve’s upcoming VR headset. Redditors also believe that the name refers to technology that Valve has patented which seriously increases the high image quality. NASA teamed up with TrinityKids Care to take sick children to space using VR technology. Here’s a few options for those who want their empathy-powered VR headset to get them in the feels. Black Box wants to be able to “motivate, track, and distract gym goers to encourage more effective, motivated workouts than compared to a traditional gym”. Playing games in VR “could be a key tool in treating people with neurological conditions such as autism, schizophrenia and Parkinson’s disease”. Shadow Air are “a lightweight take on consumer-grade smartglasses for the next iteration of its Action line of AR wearables”. Scape uses the phone camera to work out where to put augmented objects. The Posemoji app lets you send and record videos where AR content tracks your hand and body movements to create special effects. Magic Leap apps can now have a shared spatial map in a common area that syncs everyone’s position for multi-user AR experiences. “Audio AR offers a low-risk way for companies and brands to venture into AR” — very true! A fascinating look at what Magic Leap’s HQ looks like! This Medium piece says “It’s still not for consumers, but you may want one anyway”. I want one! This patent from Google shows they haven’t totally abandoned smartglasses for regular folk. Maybe they’re waiting for Apple to make it cool first? Not only do we see behind the curtain at Magic Leap this week, but we see what Fitbit’s lab is like too! A nice article that gives a good test for success — is your bot so accommodating and helpful that users cannot help but say “thanks”? Venturebeat on how 5G will drive innovative business opportunities and use cases that will also involve AI! This solution lets you SSH into a robot to see its sensor data like a camera feed without needing to connect additional peripheral. Facebook wanted to boost mobile connections using bird-size drones. It appears that Teslas store a bunch of personal information unencrypted. “As AI adoption grows, the importance of personal data will decrease” — a curious thought. That’s way easier than getting humans to do it. Microsoft are discontinuing the Cortana bot in Skype and this Venturebeat piece asks whether it’s time for Microsoft to discontinue Cortana and leave it to Alexa. This box-stacking bot will be pretty helpful at warehouses and factories some day. This new Amazon Echo is super thin and is designed to be connected to another speaker to give Alexa her voice. “In 2013, the company started an ambitious, flashy effort to create robots. Now, its goals are more modest, but the technology is subtly more advanced”. Google has an external group to help them withhold the AI principles they came up with last year. Researchers have found an experimental AI model “that can extract device PINs and passphrases from the sounds of tapping fingers”. No need to install anything to try out some AI! It lights up! This is a very cool idea. Mugsy was successful on Kickstarter but is a bit behind schedule. Hackster had a chat to talk about what’s been happening on their end. A look at building synthesizers using the ESP8266. Employees can now submit organisational apps for approval by their IT manager. You know you want a handheld Pi! A look at the most important things to consider when starting your next project.